Need Oakland County Well Service Before the Holiday Season? The holidays are closing in. They can be chaotic, pleasant, or a healthy mix of both. One thing that helps the holidays be more tolerable is running water with just the right pressure. You’ll definitely need it for a lot of things during this time of year. That’s why you should contact an Oakland County well drilling company. Maintenance checks for your water well are also important whether you depend on one for home or for your business. 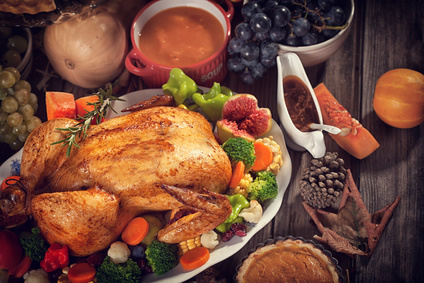 Here are a few reasons why you should make sure your water well is ready for your Thanksgiving. After all, it’s one of the major holidays that depends a lot on having good water available. If you plan to have family over this Thanksgiving, you better make sure you have running water. A full house will be dependent on your water supply and the amount of water that is being used will go up tremendously. Luckily for you, since you own your water well, you don’t have to pay a high monthly bill. However, this also means you must make sure your water well is working properly. Contact an Oakland County well drilling company about a maintenance check to make sure everything is working properly. That includes hot water for the showers and cool water to drink. Your water supply will be used a lot during this time so not having it checked may lead to further complications with the family. Water is a necessity in many of our Thanksgiving dishes. Whether you’re baking a sweet treat, making irreplaceable stuffing, or boiling veggies, you must make sure your water well is working. And let’s not forget all of the dishes that need to be washed after dinner. You will want to make sure your water filter is functioning properly. That way, only clean, fresh water touches your food and is ready to drink. Your family is trusting you to be making your famous dishes, after all. Don’t let them eat unwanted metals or chemicals. Since Michigan gets chilly in late November, you’ll want to ask your professional well drilling company to make sure the water heater is working properly. Heated water is great for warm dishes and hot cocoa, but it’s also necessary for warm baths and showers. To ensure that your family is comfortable and taken care of, talk to your well drilling company about checking the well’s functionality and water heater. All this is important in case of an emergency during a cold, blustery day or any other reason. Need Oakland County Well Service? For your loved ones this holiday season, your water well must be kept in proper working order. 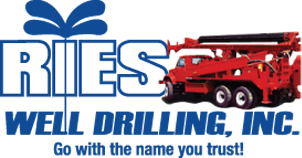 If you’re looking for well service in Oakland County or the surrounding areas, contact Ries Well Drilling Inc. When it comes to your water supply, we can make sure that you celebrate the holidays with no issues.